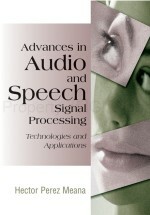 This chapter presents the state-of-the-art automatic speech recognition (ASR) technology, which is a very successful technology in the computer science field, related to multiple disciplines such as the signal processing and analysis, mathematical statistics, applied artificial intelligence and linguistics, and so forth. The unit of essential information used to characterize the speech signal in the most widely used ASR systems is the phoneme. However, recently several researchers have questioned this representation and demonstrated the limitations of the phonemes, suggesting that ASR with better performance can be developed replacing the phoneme by triphones and syllables as the unit of essential information used to characterize the speech signal. This chapter presents an overview of the most successful techniques used in ASR systems together with some recently proposed ASR systems that intend to improve the characteristics of conventional ASR systems.